From Interstate 91 South: Take exit 2 for VT-9 W toward Brattleboro/Bennington. Turn right onto VT-9 W/Western Ave (signs for Vermont 9 W). We are on left (1.3 miles) next to 7-11. 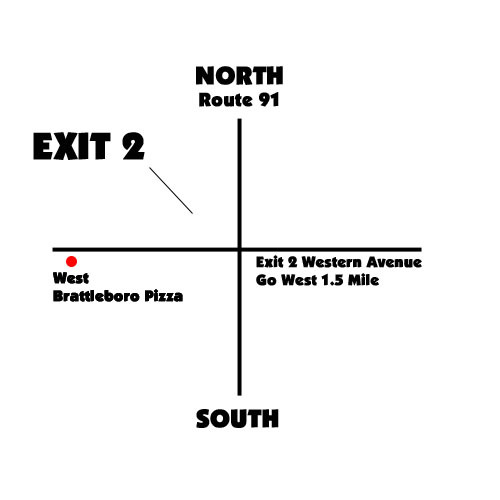 From Interstate 1 North: Take exit 2 for VT-9 W toward Brattleboro/Bennington. Turn right onto VT-9 W/Western Ave. We are on left (1.3 miles) next to 7-11.